As you all know, menopause is a complete natural state that starts around late forties in most of the women. However, due to some factors, it can be also witnessed bye few at early stage (in the thirties). Let us understand the nature, causes, symptoms of early menopause and the steps you should take. According to typical definition, early menopause is defined as the total termination of your menstruation cycle for twelve months before mid 40s. Typically referred as premature menopause, it can be natural or induced depending upon the factors responsible for it. 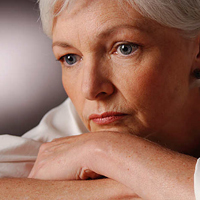 According to a recent survey, around 15% of women experience early menopause. Comparatively, premature menopause is a quicker process than the normal one. Women going through premature menopause experience the same symptoms of menopause (normal) with varying levels. They include hot flashes, night sweets, weight gain, bladder control loss, itching, vaginal dryness, lack of sleep and emotional issues like mood swings, depression, and irritability. 1. Result of poor lifestyle – Often, poor lifestyle that includes diet low in nutrition, regular and excessive alcohol consumption, excessive smoking attributes to early menopause. Even repeated stress on body like rigorous physical training can trigger premature menopause. 2. Hereditary reasons – Quite in few cases, it has been found that if you have a family history of early menopause, you are more vulnerable to the same. Although it’s a possibility, it can well indicate that you may face early menopause if your mother or grandmother has gone through it. Termed as “fragile X syndrome”, if one of your X chromosome is defective, occurrence of early menopause is a possibility. This second case refers to “Tuner’s syndrome” where there is a lack of second X chromosome. Lack of second chromosome leads to ovarian dysgenesis (deficiency in ovarian development). 4. Autoimmune diseases – One of the most common causes, the immune system of your body attacks the reproductive system that results in malfunction of ovarian development. Conditions like Rheumatoid Arthritis or Hashimoto’s Thyroiditis are good indicator of this case. 5. Surgery – Another common cause that evolves around removal of your ovaries as in case of bilateral oophorectomy or total hysterectomy (removal of ovaries, fallopian tubes and uterus). Once the ovaries are removed, the hormone production drops considerably resulting in immediate experiencing of symptoms of menopause. 6. Chemical factors – Certain chemical therapies like chemotherapy or radiation therapy aimed towards pelvic region may damage the ovaries resulting in premature menopause. The response time often varies from immediate to few months to occur. In few cases, certain medications like Tamoxifen have an adverse effect leading to temporary malfunction of ovaries. 7. Other disorders like Cushing’s Disease (over secretion of adrenal glands), pituitary failures, viral infection to uterus, Hyperprolactinemia (over secretion of prolactin) can lead to early menopause. A blood test that detects the levels of FSH (Follicle Stimulating Hormone) that is chiefly responsible to produce estrogen is required to diagnosed. The increased level of estrogen (40 mIU/mL or above) is an indicator of menopause phase. As there are same symptoms like menopause, the treatments too are same to treat early menopause and common menopause. There are alternative treatments or Hormone replacement therapies (in form of pills, patch, and gels). Alternative treatments comprises of use of black cohosh, evening primrose oil, flaxseed oil or red clover as herbal supplements, Dong Quai and Goji as traditional remedies and yoga and mediations to alleviate the symptoms. Hormone replacement therapies are focused at restoring the disturbed balance of hormones in your body. The hormones induced can be synthetically ones or natural biodentical hormones that can be more easily adapted by human body. Whatever treatment you use, it must incorporate the balanced nutritious diet. Menopause or premature menopause is a natural phenomenon, don’t forget that.